Upon first listen, it’s not surprising to see how John Vanderslice has achieved acclaim in the indie rock world. He has all necessary ingredients — a soft, sweet voice and well put together instrumentals — of a non-religious Sufjan Stevens, without the concept albums. Reminiscent of Simon & Garfunkel mixed with modern Jim O’Rourke, or even an upbeat Phosphorescent, John Vanderslice takes the best elements of all those and infuses them with a funky je ne sais quoi. Even the slower, more minimal tracks are listenable, which is not something that can be said about a lot of modern albums, which add slower tracks in just for good measure and not necessarily for conviction. The fourth track “Too Much Time,” is where the album really picks up, and leads into highlight song of the album, “D.I.A.L.O.,” which is definitely worthy of repeat listens. Vanderslice falls into line with most of the indie singer-songwriters that have achieved fame as of late, including M. Ward and Andrew Bird, but fall short of that quirky cult following that someone like Will Oldham (Bonnie Prince Billie) has gained. Vanderslice is almost a veteran in the industry, with 6 previous full-lengths under his belt for Barsuk Records, and now Romanian Names, his first for Dead Oceans. His clever mix of tracks helps the album flow smoothly, from the opener “Tremble and Tear” to the upbeat Belle & Sebastian-esque “C & O Canal.” Despite the rather morbid themes and track titles, especially in the single “Fetal Horses,” the pace remains steady throughout. The subject matter, often referring to failed romantic ventures and heartbreak, is prominent but not all-encompassing. The darker tracks are made enjoyable by darker instrumentals; see “Summer Stock” for an example. 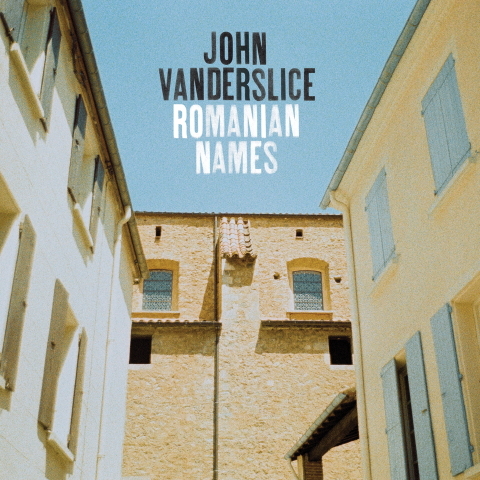 While long-time fans of Vanderslice may see Romanian Names as a continuation or even as a forgettable addition, newer fans will be pleased. This being my first introduction to his music, I was made curious enough to dig deeper into the cannon. This is beyond doubt a pop album, less obscure and more refined. This might never make it into major rotation, but definitely a pleasant listen for the summer months.